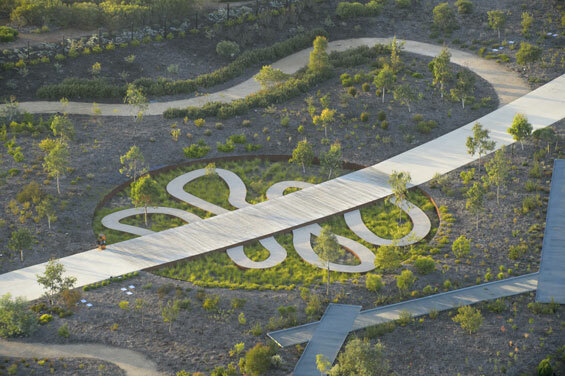 In a former sand quarry, a new botanic garden has been completed, one that allows visitors to follow a metaphorical journey of water through the Australian landscape, from the desert to the coastal fringe. 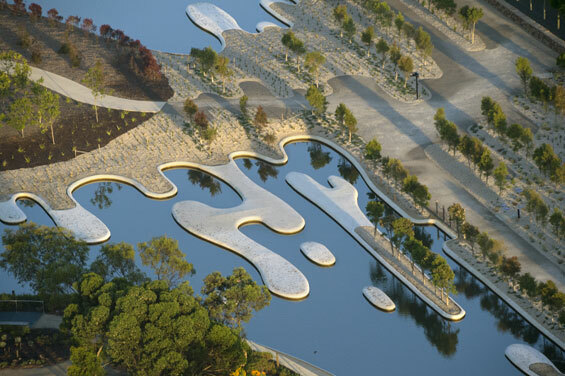 Via the artistry of landscape architecture, this integrated landscape brings together horticulture, architecture, ecology, and art to create the largest botanic garden devoted to Australian flora. 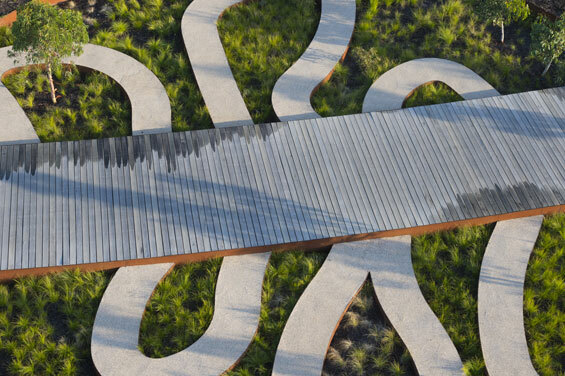 It seeks, through the design of themed experiences, to inspire visitors to see our plants in new ways. 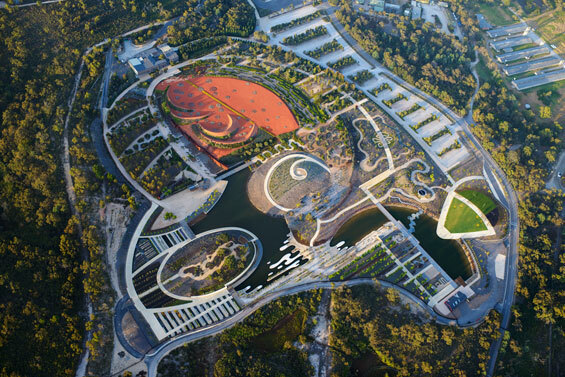 The completion of the Australian Garden comes at a time when Botanic Gardens world‐wide are questioning existing research and recreational paradigms and refocussing anew on messages of landscape conservation and a renewed interest in meaningful visitor engagement. The Australian landscape is embraced or shunned by its people, loved for its sublime beauty or loathed as the cause of hardship. Artists and writers have often been inspired to design or write in response to subtle rhythms, flowing forms and tenacious flora of our landscape. Whilst others have attempted to order the landscape, and conceive of it as humanly designed form. 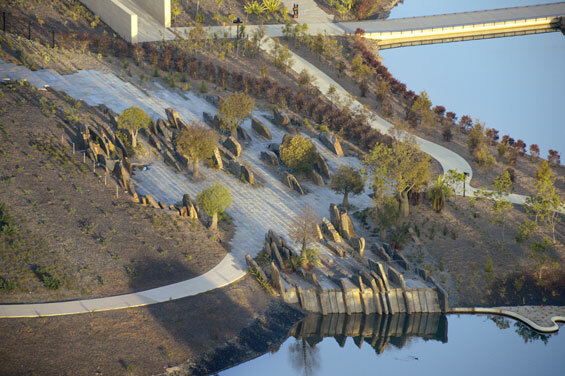 At the Australian Garden these tensions are the creative genesis of the design. On the east side of the garden, exhibition gardens, display landscapes, research plots and forestry arrays that illustrate our propensity to frame our landscapes in more formal manners, whilst on the west, visitors are subsumed by gardens that are inspired by natural cycles, immersive landscapes and irregular floristic forms. Water plays a mediating role between these two conditions, taking visitors from rockpool.